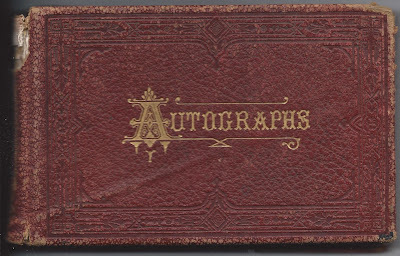 1870s autograph album filled with pages signed by students at Fryeburg Academy, Gorham Seminary and Bowdoin College, plus others. 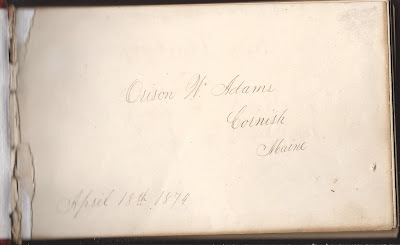 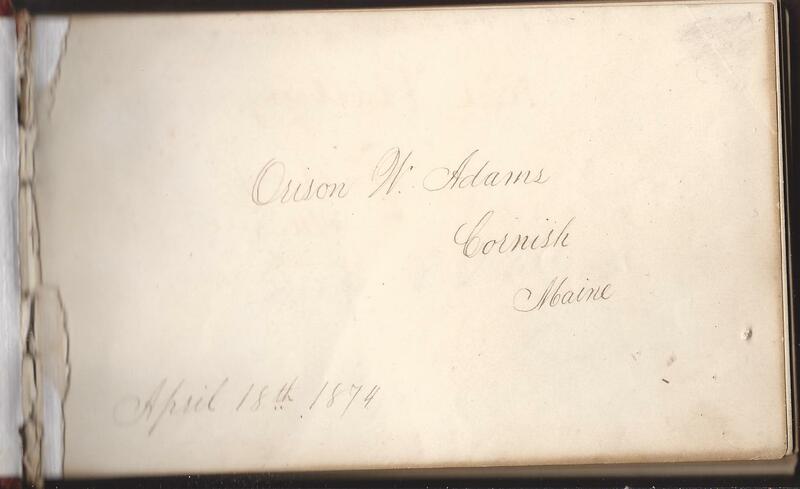 The album, approximately 6-1/2" x 4-1/4" and thicker than most albums of these dimensions, contains 44 autographs of people throughout Maine, a few other states and Cuba. 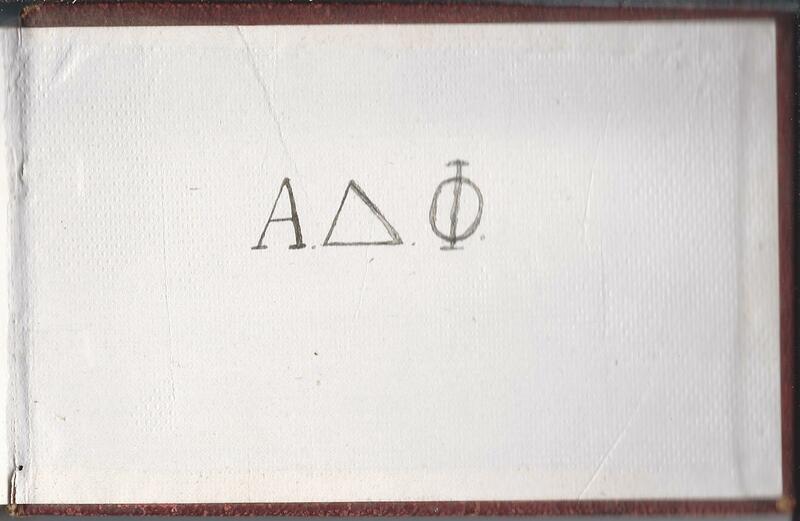 The album isn't identified as to the owner, though I suspect he was a young man originally from the Fryeburg area who belonged to the Alpha Delta Phi fraternity at Bowdoin College. 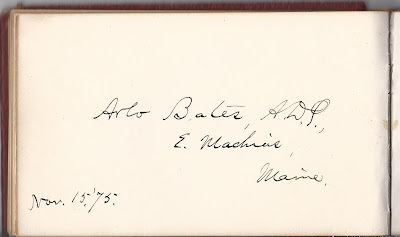 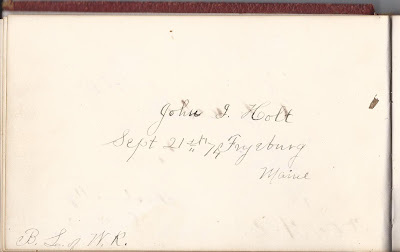 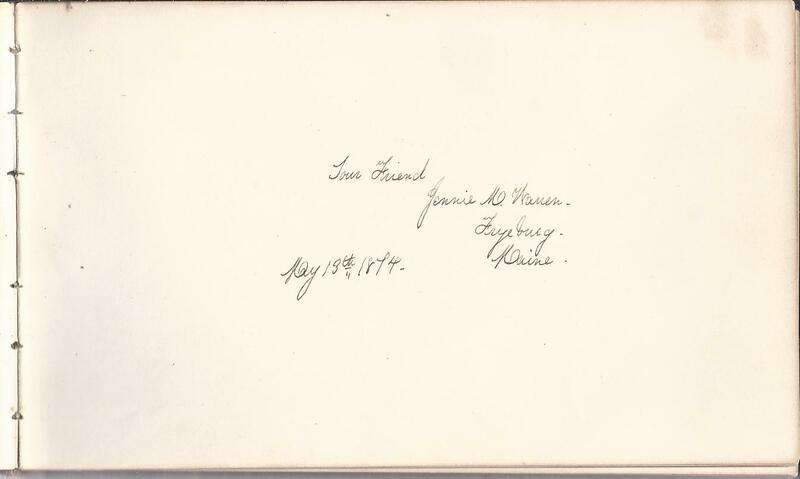 An authority on Maine history and genealogy feels that the album may have belonged to Edward E. Hastings of Fryeburg, in part because his autograph does not appear in the album, though those of his hometown friends do. Hastings attended Fryeburg Academy and Bowdoin College. 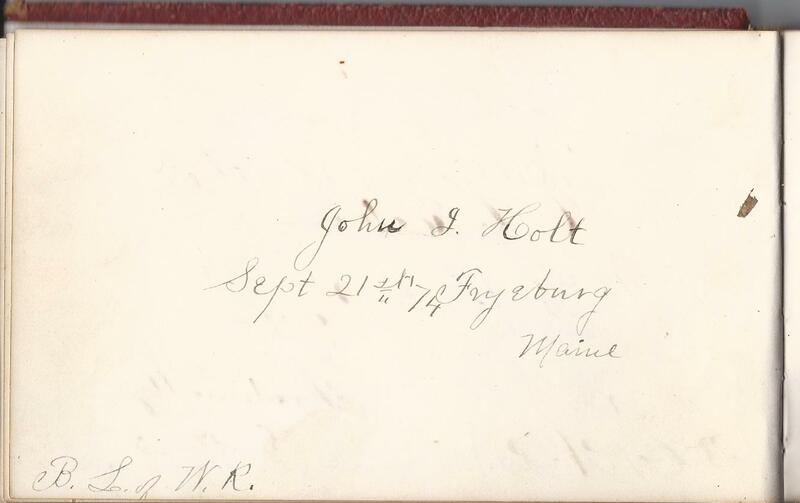 He returned to Fryeburg and joined the law practice established by his father. 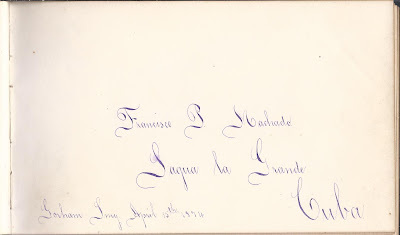 The practice is still in existence today. 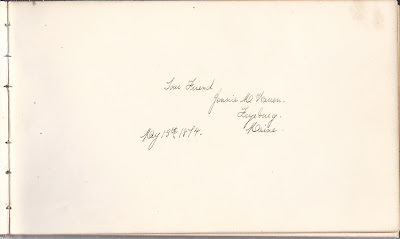 Another possible clue pointing to Hastings as the owner of the album is that his future wife also signed a page. She signed as Jennie M. Warren of Fryeburg, though her name may have been Mary J. Warren. 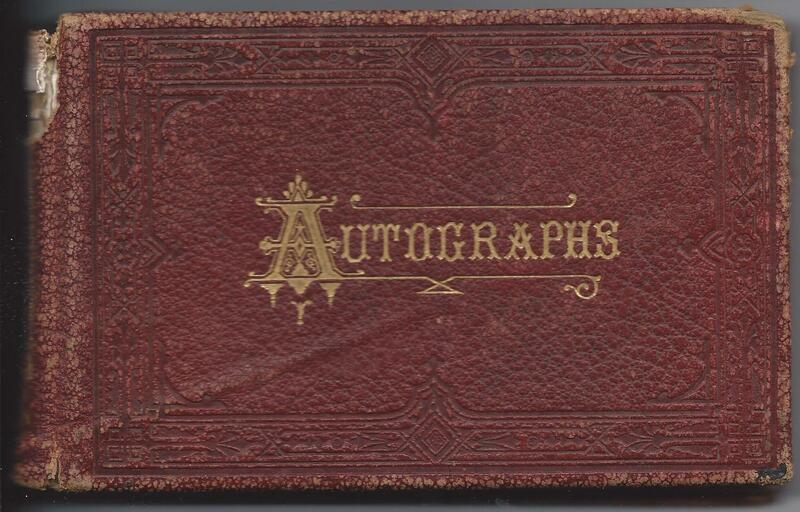 It's possible that a few pages at the front are missing, as there is no title page. 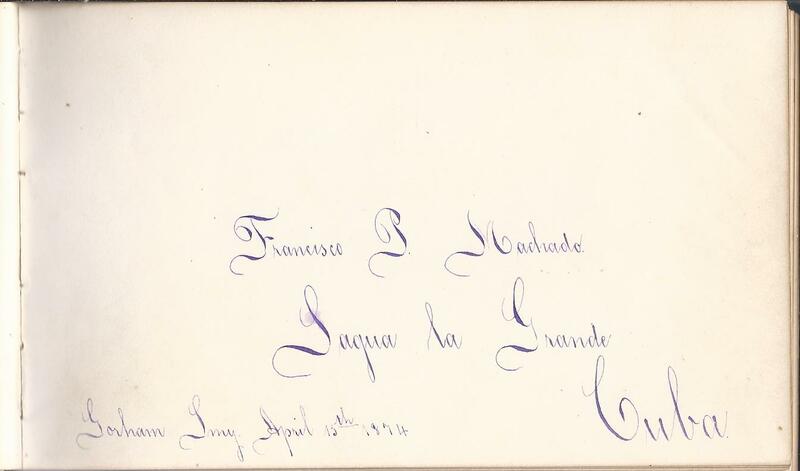 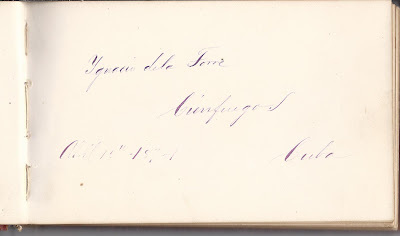 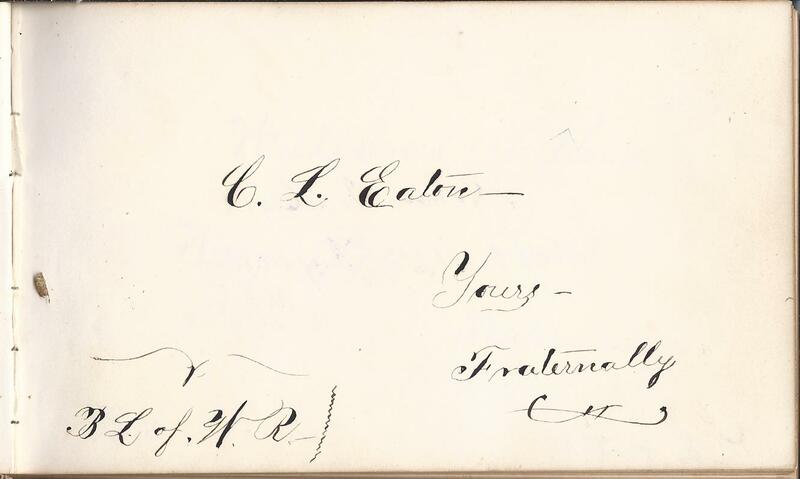 The first page in the album may be an autograph or it may be the owner's name, though I suspect it's an autograph. 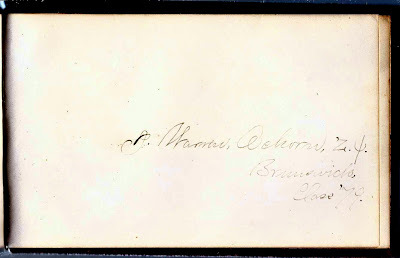 Several signers indicated membership in an organization called the B. L. of W. R. If you have any information about this organization, please leave a comment or contact me directly. 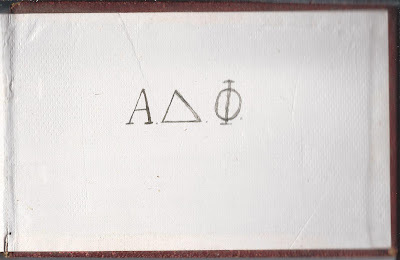 It might be no more than a brotherhood of close childhood friends. Or it might have been larger in scope. 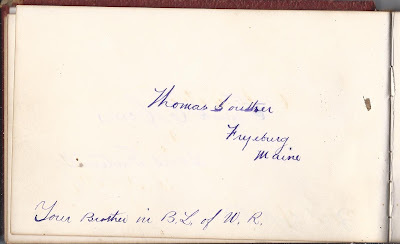 The consensus so far is that this was an organization of young friends from Fryeburg, or students at Fryeburg Academy, but further proof is needed. 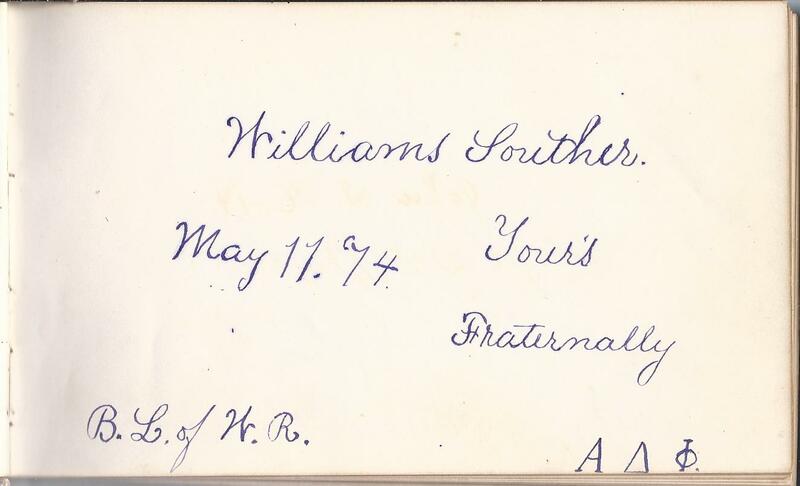 Be aware that the Special Collections Department at Bowdoin is likely to have information to share on Bowdoin graduates or attendees, as mentioned in the case of Williams Souther, above. 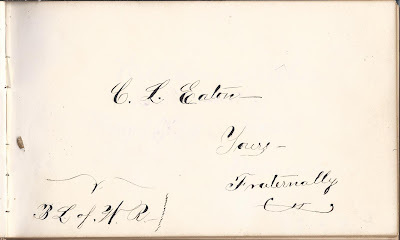 C. L. Eaton, B. L. of W. R.
John I. Holt of Fryeburg, Maine, 1874, B.L. 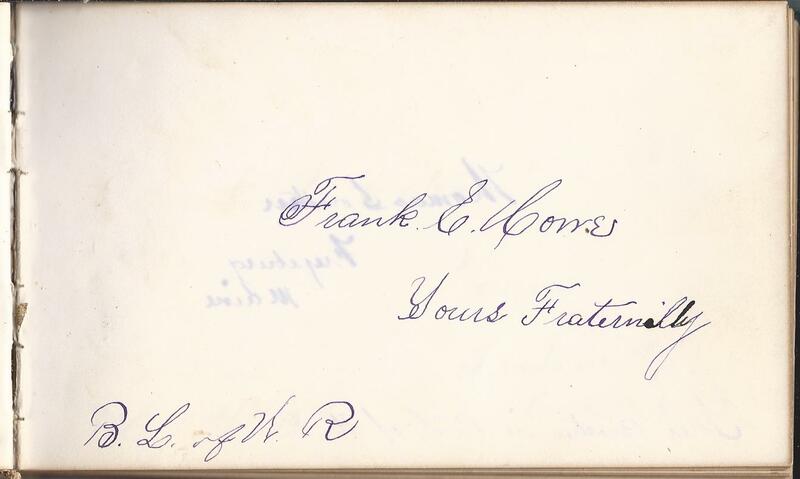 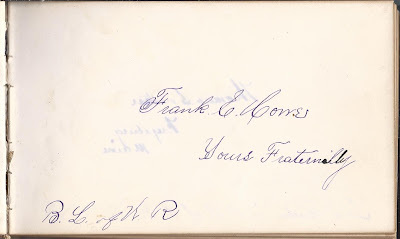 of W. R.
Frank E. Howe, B.L. 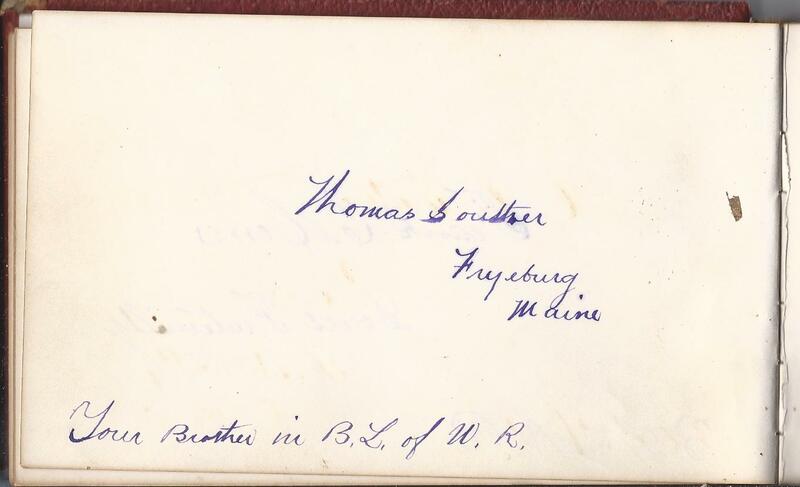 of W.R.
Thomas Souther of Fryeburg, Maine, B.L. 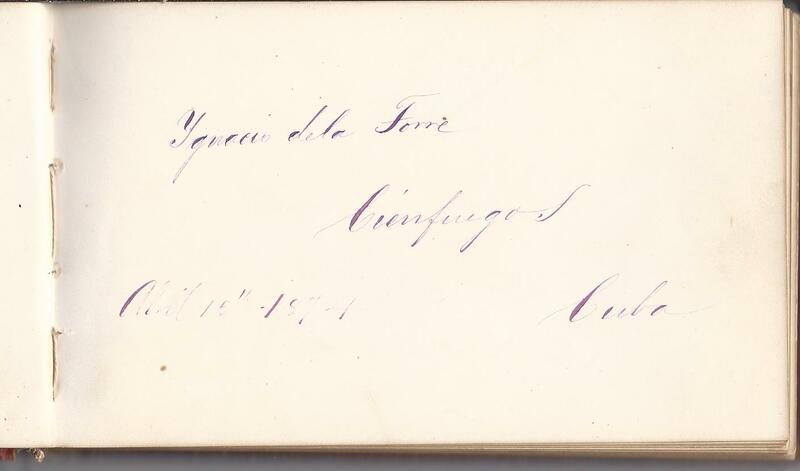 of W. R.